Clear bags are required for entry into Doug Kingsmore Stadium. Click HERE for approved items. For lost items at Doug Kingsmore Stadium, visit the guest services booth located on the concourse along the left-field line during the game. All parking lots surrounding Doug Kingsmore Stadium are free, with the exception of parts of the McFadden Building lot, which are restricted for media parking. ADA parking for fans with a state-issued placard is available at the home plate lot and the lot outside the left-field gate. We offer a variety of in-game and ticket promotions, including $2 tickets for all games on Tuesdays and Wednesdays and Kids Day at the Park every Saturday, when kids can run the bases after the game. For a complete list of promotions, click HERE. 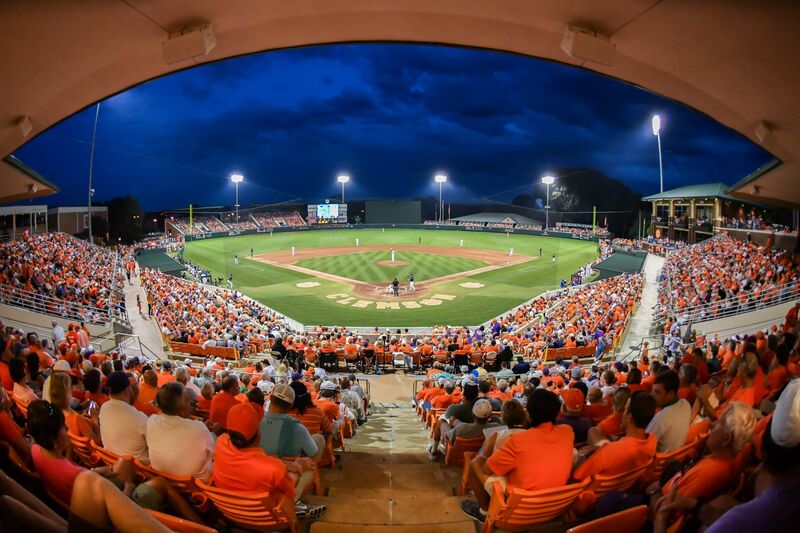 All tickets will be scanned for admittance into Doug Kingsmore Stadium. Fans can order season and game-by-game tickets for Tiger baseball by clicking HERE. Faculty and staff ticket information can be found HERE. Student ticket information, including student guest tickets purchased by students and pricing (cash only), can be found HERE. For fans who are unable to attend a game, you can help fill Doug Kingsmore Stadium by transferring your tickets to another Tiger fan HERE. Fans can also sell their tickets on StubHub by clicking HERE. Watch all the live action of 2018 Tiger baseball. Most games have live video, including online coverage on ACC Network Extra. For a complete video schedule list, click HERE. All video links can be found HERE.